Exotic car, 0- 60 in under 5 seconds,12 cylinder engine, aerodynamic design… these are not the typical features on the car shopping list for a family with children. However, Bentley is one ultra luxury car manufacturer that has considered the family and they have created a vehicle that combines luxury, speed and family into perfection. There are many features of the Bentley Continental and Flying Spur Models that makes driving one as an everyday driver for a family, not only practical, but desirable. 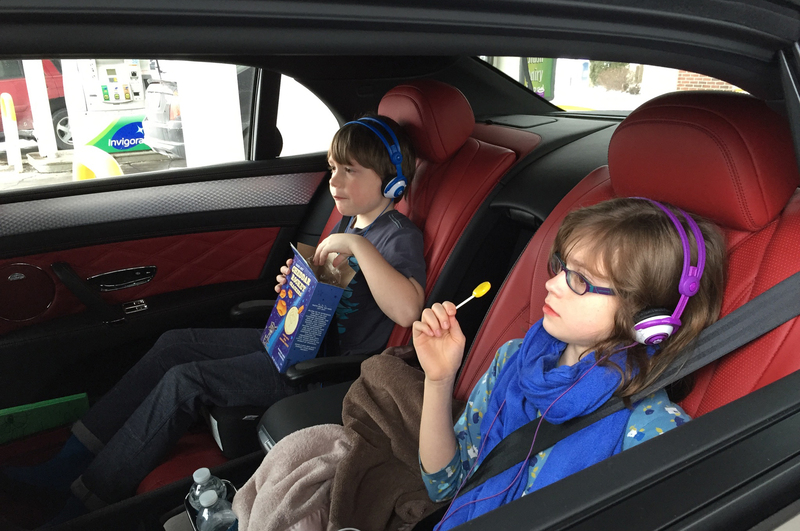 Safety is a top priority for many families, especially when children will be in the vehicle, and Bentley certainly does not disappoint. The Bentley Continental GT has all the safety features such as airbags and anti-lock brakes, that have become standard on most cars. However, there is one feature in particular that really sets Bentleys apart and that is the weight of the vehicle. A family shopping for a used Bentley could find a 2015 Flying Spur with a curb weight of 5,300 lbs vs. a 2015 Infiniti M weighing a mere 3,800 lbs. That is 1,500 lbs in extra protection that could potentially be life saving in certain scenarios. Comfort and convenience are two high ranking needs for families, particularly ones with smaller children. Whether you are shuffling kids around from activity to activity or moving babies in and out of car seats, you will need a vehicle to adequately meet these needs with ease and comfort; or you will pay for it with frustration and buyer’s remorse. Roominess in both the back seat and the trunk is a necessity that is definitely not overrated for families. While both the Bentley Flying Spur and Continental GT provide the much need trunk space, you will find that the Flying Spur’s back seat is much more spacious than the Continental GTs. The Continental GT should not be ruled out completely based on the backs seat because with certain age groups it is a perfect fit. You can compare the back seat of the Flying Spur and the GT at these links. Now that some of the basics of comfort and convenience have been addressed, lets dive deeper into what really sets this vehicle apart from competitive family vehicles. Regardless of whether you have a baby who needs a chilled bottle, or a 10 year old child who needs a cold beverage after their sporting event, Bentley has you covered. While others can easily pack a bag with ice packs to accomodate, nothing can quite replace the convenience of never having to worry about this. And lets face it, you have plenty of other things to worry about. What about all those snacks and rushing to get dinner in somewhere between baseball and gymnastics? 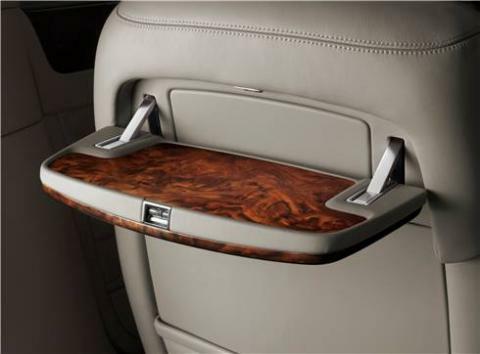 The Bentley Flying Spur and Continental GT both have options of gorgeous veneered picnic tables, ensuring your child has the ease to eat on the run in comfort. Your clean, stain-free carpets will also thank you for this. It is critical to remember that these are options and not standard features. Therefore, when car perusing be sure to either, add these options or, if considering a used Bentley, ensure the particular vehicle has the options. While this is only scratching the surface of what makes a Bentley Continental GT and Flying Spur an all too appealing family vehicle, it should be evident why this exotic vehicle is truly in a class of its own.